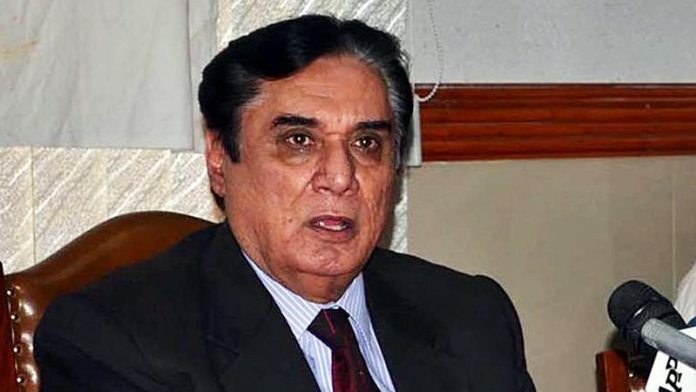 ISLAMABAD: National Accountability Bureau (NAB) Chairman Justice (r) Javed Iqbal on Wednesday sought more time to appear before the National Assembly’s Standing Committee for Law and Justice for questioning related to his decision to initiate an inquiry against deposed prime minister Nawaz Sharif on the basis of a ‘flimsy’ newspaper column alleging the latter of laundering money to India. The response submitted on behalf of the NAB chief stated that Justice (r) Iqbal has prior commitments therefore he cannot appear before the committee on Wednesday. However, the committee declined the request and directed the NAB chief to review his decision. However, later in the day, the committee directed him to appear before it this Friday but later changed the date to May 22, Tuesday. Members belonging to the Pakistan Tehreek-i-Insaf (PTI) and Muttahida Qaumi Movement-Pakistan (MQM-P) had opposed the committee’s decision to summon the chairman, with their lawmakers arguing that Iqbal had done nothing wrong by ordering an inquiry in the allegations. Minister for State Tallal Chaudhry explained that the purpose of summoning the chairman was not to disrespect anyone but to find out what the procedure of issuing a press release is. PTI MNA Arif Alvi remarked that the NAB chief should not be insulted like this and claimed he was being pressured by the ruling lawmakers. The NA committee, headed by a PML-N lawmaker from Sahiwal, Chaudhry Mohammad Ashraf, had summoned the NAB chief hours after the issue was raised by Rana Hayat Khan while speaking on a point of order in the house. The matter had been referred to the committee by former law minister Zahid Hamid, who was presiding over the session at that time. Meanwhile, a meeting of PML-N’s leaders at Punjab House condemned the NAB chairman’s no-show. Last week, Prime Minister Shahid Khaqan Abbasi had criticised NAB on the floor of the National Assembly for its “faux pas” over the alleged $4.9 billion money laundering to India by Sharif. According to the complaint, NAB said it would investigate the World Bank’s migration and remittance book, released in September 2016, that carried information that the foreign exchange reserves of India increased by $4.9bn after the amount was laundered to the country by the then government. However, the World Bank had promptly responded to the NAB statement, saying: “the report does not include any mention of money laundering nor does it name any individuals”. The State Bank of Pakistan had also said that the estimates showed in the WB report were based on “assumptions” which did not reflect the reality. PML-N’s supreme leader Nawaz Sharif has also called for the NAB chairman to either apologise for the blunder or resign. Justice (r) Iqbal, however, has remained adamant in continuing his work as the bureau’s head. “NAB is not in panic and is not afraid,” he had said previously.